Christopher MacRae's lecture recital "The Portray of Canadian National Identity in Srul Irving Glick's Song Cycle 'South of North, Images of Canada'" has been accepted for presentation at Congress 2016: Federation for the Humanities and Social Sciences and the Canadian University Music Society from May 28 to June 3 in Calgary, Canada. Unrivaled in scope and impact, the annual Congress of the Humanities and Social Sciences is the convergence of approximately 70 scholarly associations, each holding their annual conference under one umbrella. Now in its 85th year, this flagship event is much more than Canada's largest gathering of scholars. Congress brings together academics, researchers, policy-makers, and practitioners to share findings, refine ideas, and build partnerships that will help shape the Canada of tomorrow. In celebration of the 50th anniversary of the University of Calgary, the Congress 2016 theme "Energizing communities" reflects the university's commitment to community engagement at local, regional, national and transnational levels. This commitment is rooted in the belief that knowledge and understanding are created through associations of shared values, grounded in respect for difference and diversity among all peoples, from First Nations to new Canadians. 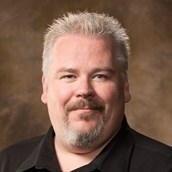 MacRae is a voice instructor and vocal area coordinator for the Department of Music at the University of Arkansas.